Difficulty: Medium — AMEB Grade 7-8. Commission note: I developed this work from a commissioned piece written for the Sydney Mandolins in 1999 which was titled 'Lament for Kosovo'. 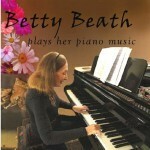 The version for piano made the work personally accessible for performance. First performance: by Jenni Flemming — 17 Sep 00. 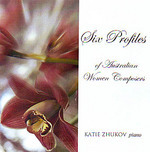 Recital program celebrating the work of Australian women composers at the Queensland Art Gallery.